IS YOUR ADVISOR AN EXPERT WHEN IT COUNTS? In the United States alone there are over 300,000 financial advisors, and the majority of these advisors have letters, or “designations,” that follow their names. I’m sure you’ve seen CFP, CFA, CRPC, AIF, or Series 7 in print advertisements or online. We certainly have a good number of these designations on our website. While these designations do show you that an advisor has achieved a certain level of professional education, they do not convey anything about a critical part of the financial planning process: how much expertise an advisor brings to the table when it comes to your specific situation. It’s normal to assume that your planning needs are pretty “standard.” You earn a good living and just want someone to help you manage the financial aspects of life so you can focus on the things you enjoy most. What difference does it make who you work with? Over the last 30 years, we’ve seen time and time again that having a true expert when it counts can make all the difference. This statement holds true for you and the people you care most about. To shed some light on this topic, we wanted to share a short example of how we helped an airline pilot and his spouse during a very difficult time. Several years ago, a long-time client came to us with some terrible news. He had recently been diagnosed with a terminal illness and doctors gave him just a year to live. Understandably, our client and his family were devastated, and as a client we had gotten to know over the years, we shared in the grieving process. On top of the emotional burden, this family was concerned about their financial future. This was because under the terms of our client’s airline benefit package, an active employee death would eliminate a lump sum option of about $850,000 and reduce the death benefit to the surviving spouse by 50%. The result was just a $36,000 annual income stream for the wife, with nothing to leave behind for the family’s children. With our years of experience in-hand, we knew the solution lay in having the client retire before his passing. We worked with the base administrator to coordinate paperwork, and once our client had checked into hospice care, the surviving spouse signed his retirement documents using her power of attorney. In the grand scheme of things this was a small end-of-life detail, but made a significant difference in the financial outlook for the surviving family members. If your current financial advisor doesn’t work every day in the airline industry, it can be very challenging to navigate these types of issues. In many cases, advisors who support doctors, lawyers, and other business professionals may not even know these issues exist in the first place. We understand the details of working in this industry and are proud to serve our colleagues at airlines across the country. 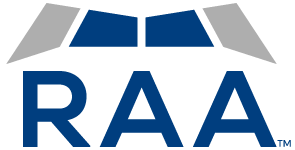 If you’d like to learn more about the work RAA is doing or find out how we may be able to help you based on your unique circumstances, request a call to speak to one of our advisors at a time that fits your schedule.